After a few weeks spent at altitude, it was a welcome change to run at a mere 600 metres above sea level this evening in the Peruvian town of Nasca. 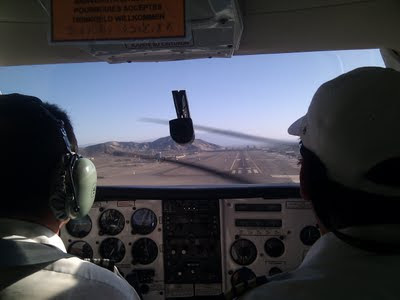 I arrived this morning to the unfamiliar sight of fog and drizzle, although this cleared to an afternoon of bright sunshine, perfect for a flight above the famous Nasca Lines. The run felt easy after the breathlessness of walking at 4,000m and above, and the humidity for once welcome after the dry mountain air. 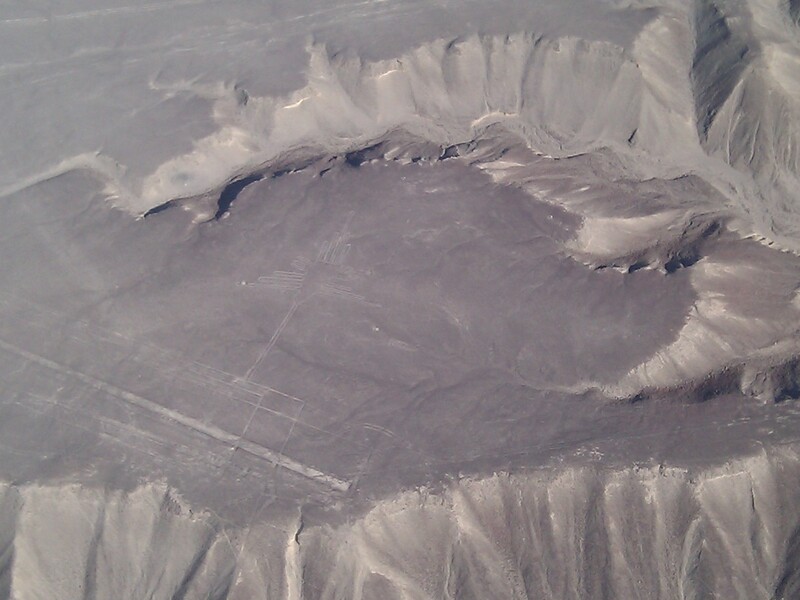 To be honest, I didn't find much to inspire me running around Nasca. The main square - Plaza de Armas - is pleasant enough, but the streets were mostly busy with hooting taxis, dirty and dusty. On the upside, I ran at dusk, with a bright moon dominating a clear sky, deep blue above and dusky purple on the horizon, just too early for the first stars to be appearing. The reason I was in Nasca (along with most of the other tourists) was for a half hour flight over the Nasca Lines. The pilot and copilot pointed out the main images in the desert, all clearly visible from both sides of the six-seater plane. There are many more geometrical shapes and paths radiating out from certain points. Images of the Nasca Lines are present everywhere in town, all over walls, pavements and even the tail of the plane we flew in! After the flight we went to the Planetarium at 7pm, where they explain about the history and origin of the Nasca Lines and their rediscovery, documentation and cleanup by Maria Reiche. This was well worth the visit to understand more about the Lines.